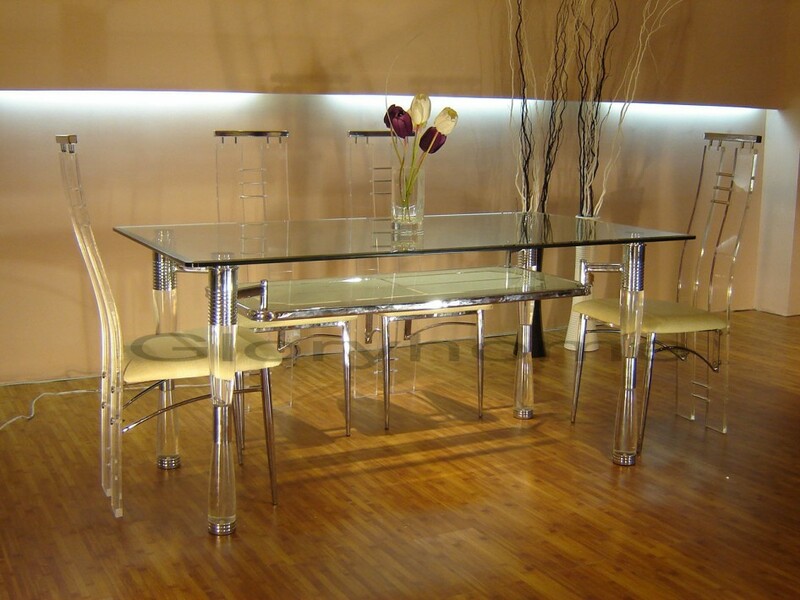 Whether you’re looking for an alternative to glass or just want something different, acrylic furniture is an inspired choice for your home. 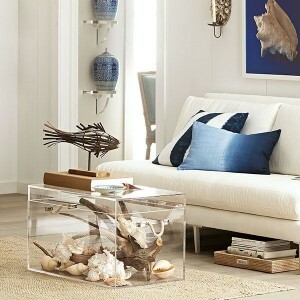 Acrylic furniture is durable, functional and fashionable. 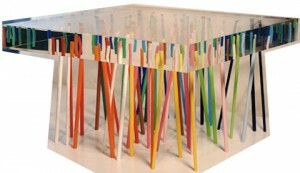 Seen in interiors both modern and traditional, acrylic pieces are becoming increasingly popular. Photo, kiviart.com. 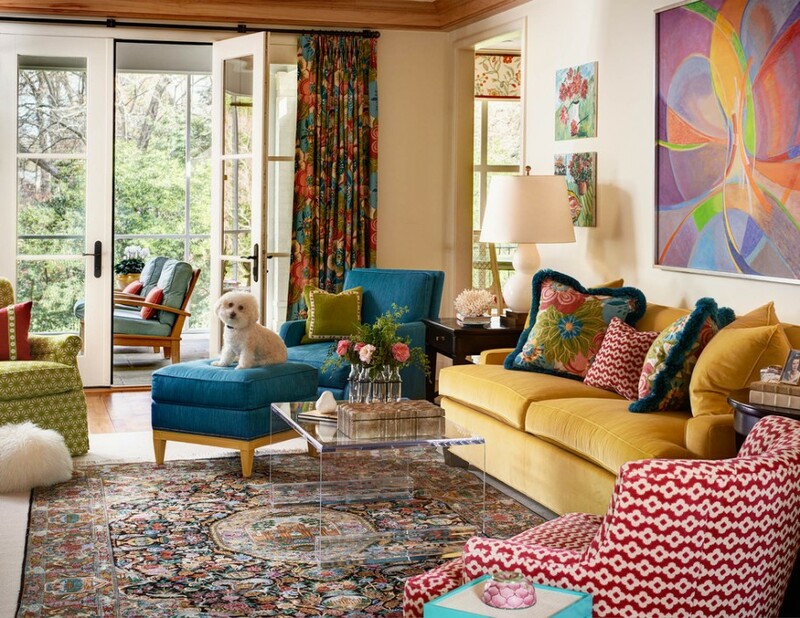 An acrylic table is the perfect counterpoint to the patterned rug and bright colors of this room. 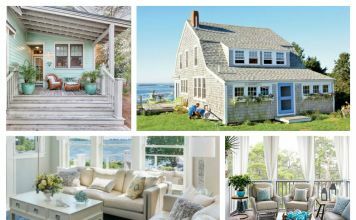 Acrylic is a great alternative to glass for many reasons. It is highly durable and stands up well over time. 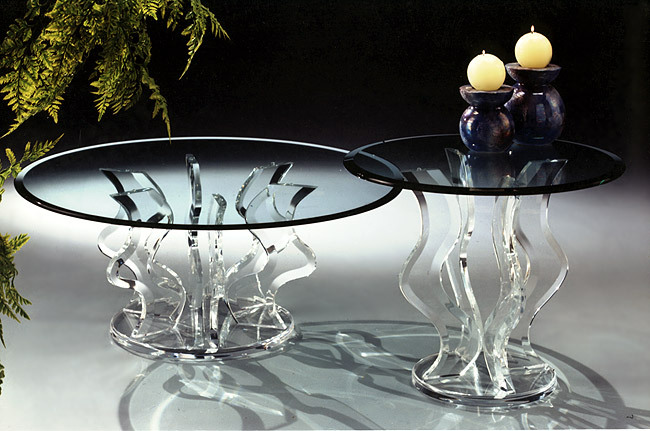 Acrylic weighs only half as much as glass and remains clear no matter the thickness. Safer than glass, you need not worry about it breaking easily. 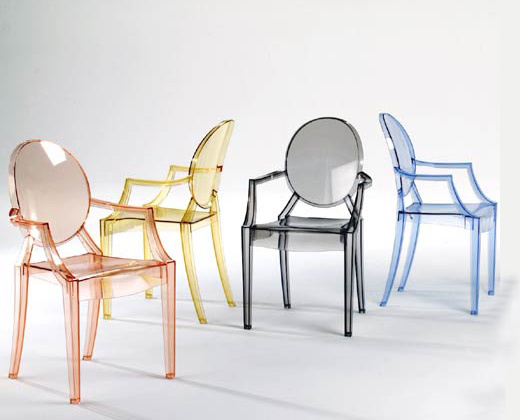 The choices for acrylic furniture now range from simple chairs and tables to more elaborate interpretations of classic styles. 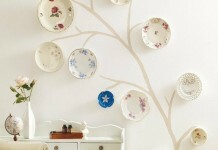 Use it to accent upholstered or wood pieces in the living room or dining room. 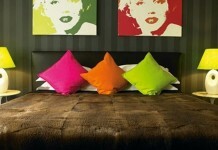 In the bedroom, a colored acrylic chair or a vanity infuses the room with glamour. For the kitchen, bar stools of acrylic make for a smart statement. 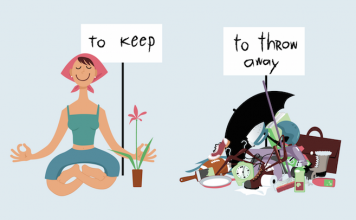 Photo, klfs.org. 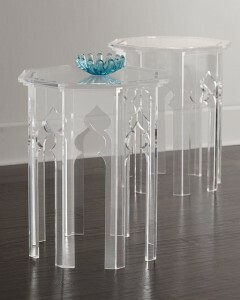 Even in a more traditional setting, the acrylic table is at home. Photo, nevaramk.com. The perfect accent in a modern space, the acrylic table blends in nicely. 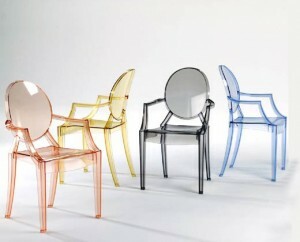 Acrylic furniture, like glass, lightens up a room visually. 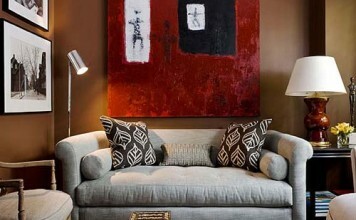 For a room filled with pattern, an acrylic accent piece such as a side table or coffee table provides the perfect balance. 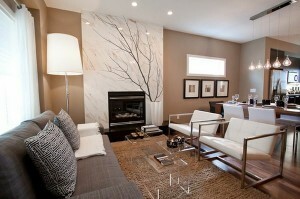 In a modern room, acrylic furniture becomes a defining piece that will offer a touch of understated edge. 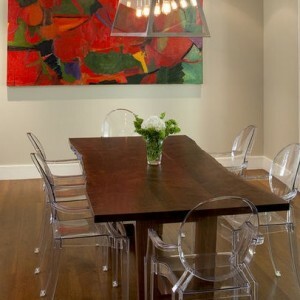 The dining room is a great place for the addition of acrylic furniture. In a room generally filled with heavy pieces, mixing in acrylic opens up the space, transforming the dining room into a very chic and sophisticated space. 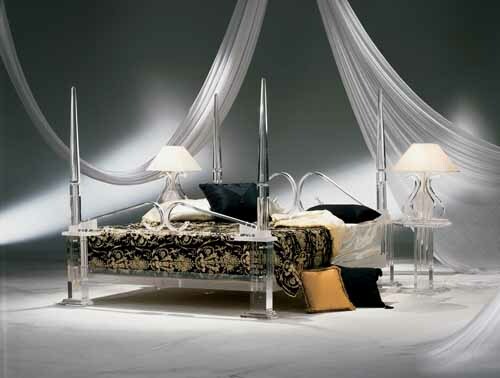 Bedrooms can be glamorous with the addition of a few acrylic furniture pieces, even a bed. 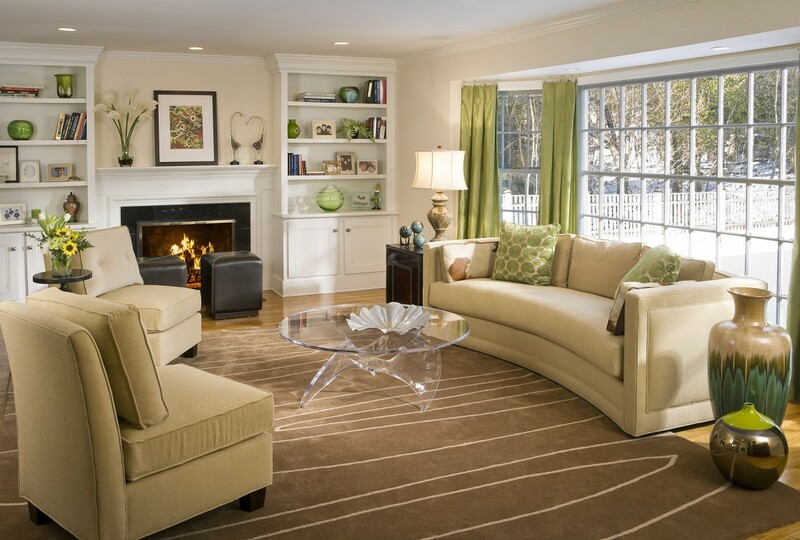 Accent pieces like bedside tables, dressers or benches make for the ideal light space to relax and unwind. 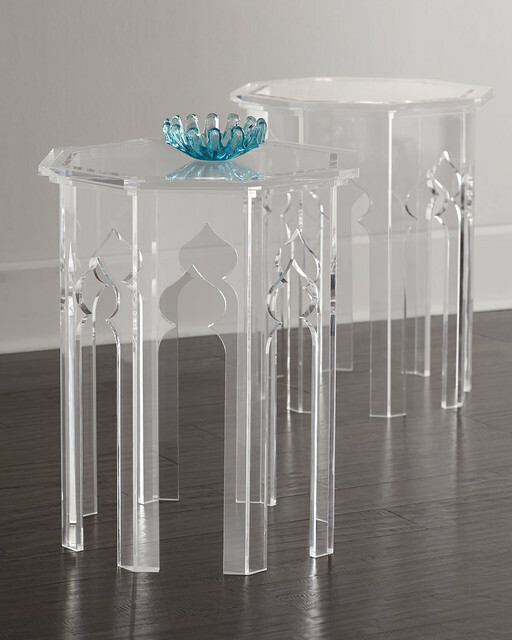 With so many choices available in type, style and even color, acrylic furniture adds of-the-moment panache to any room in the house. It can be completely unexpected or quietly unobtrusive. It can even be a work of art. 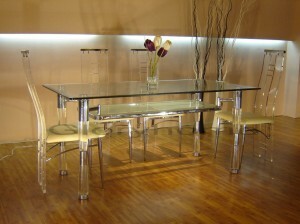 In the end, acrylic furniture is a versatile and dynamic choice.